There are many factors and choices to consider when arranging a cremation. As you go through the cremation planning process, you may find that you have some unanswered questions. Below, we’ve outlined the most frequently asked questions about cremation with some personal video explanations from Jim and Mark Busch. Once you review these cremation FAQs, you will have a better understanding about the entire cremation process — before and after the service is complete. 2. How long does it normally take to complete a cremation? The cremation process is brief, and takes two to three hours. The exact time depends on the size of the individual and type of container or casket selected. In Ohio, there is a legal 48-hour waiting period before a cremation can occur. It may take several days to secure the necessary documents prior to the cremation. Families may obtain a waiver to cremate from the Justice of the Peace in the precinct where the death occurred. If obtained, it is possible to proceed with cremation before the standard 48-hour delay. 3. Can two cremations be performed at once? No, and it is illegal to do so. Most modern cremation chambers are not large enough to accommodate more than one adult. At Busch, we ensure the highest level of care and integrity during your loved one's cremation. If requested, we invite families to tour our on-site crematory, and/or remain present at the start of the cremation. 4. What happens following the cremation process? Several steps occur following the cremation process. The remains are retrieved from the cremation chamber and placed into a stainless steel collection pan. Once cooled, any materials are removed with a strong magnet after a thorough visual inspection. The remaining bone particles and ash are reduced to small particles and placed in the selected urn. 5. What will the cremated remains look like? The cremated remains will resemble coarse sand and small gravel. They are typically whitish to light gray in color. An average adult will yield five to eight pounds of cremated remains. 6. Are all the cremated remains returned? Family members will receive all cremated remains. Please be aware that a small amount of microscopic particles are impossible to remove from the chamber. 7. Do I have to select an urn? Cremated remains are required to be placed in a secure container. Although not a state regulation, we do require some type of suitable container or urn. We have a variety of products to purchase starting as low as $25. 8. What can be done with the cremated remains? There are many options available following a cremation. Remains may be buried in a cemetery or placed in a niche. Also, consider scattering (with permission) or keeping remains at home. If you choose scattering, we advise you to consult with prevailing local authorities. There is a wide selection of urns and containers designed for these various options. You may choose a decorative urn to honor the lifestyle, values or religious preferences of your loved one. Or, you may choose a smaller keepsake urn, which allows you to divide cremains among various people. Special keepsake jewelry is also available in a variety of styles and materials. All jewelry is designed to hold a small amount of cremated remains. If you select burial, special burial vaults are available to protect and secure the cremated remains. Although not required by state law, some cemeteries require some type of urn vault. There are also urns designed to assist families in scattering cremated remains either on land or in lakes, streams or oceans. For more information, call our office at 1-800-252-8724. 9. What assurance exists to ensure the cremated remains I receive are those of my loved one? This is one of the most important issues to families, and the highest priority for Busch. Prior to cremation, we verify the identity via a family viewing, medical or legal certification. We have developed a rigorous set of policies to maximize our level of quality and trust. Identification of the deceased is assured throughout each stage of the cremation process. We only allow certified professionals to operate our cremation equipment. 10. Can I have a service with cremation? For families arranging for cremation, many options and possibilities exist. Traditional funeral services, visitations, or memorial services are available with cremation. A visitation period with an open casket and memorial service can be arranged at a later date. Families can arrange services at any time or location as soon as the death occurs. Or, family members may delay the arrangement until they can conveniently gather. Use our automated cremation service selection tool to find out the best option based on your needs. 11. Is embalming required before cremation? Each state has its own rules and regulations governing cremation. In the State of Ohio, law does not require embalming. Most common carriers (airlines etc.) require embalming before transportation. The laws of the destination state or country will apply. 12. Can there be a viewing without embalming? Yes. The immediate family may view their loved one in our private viewing room before cremation. We will not allow public viewing without embalming. 13. Is a casket necessary for cremation? No, a casket is not required. 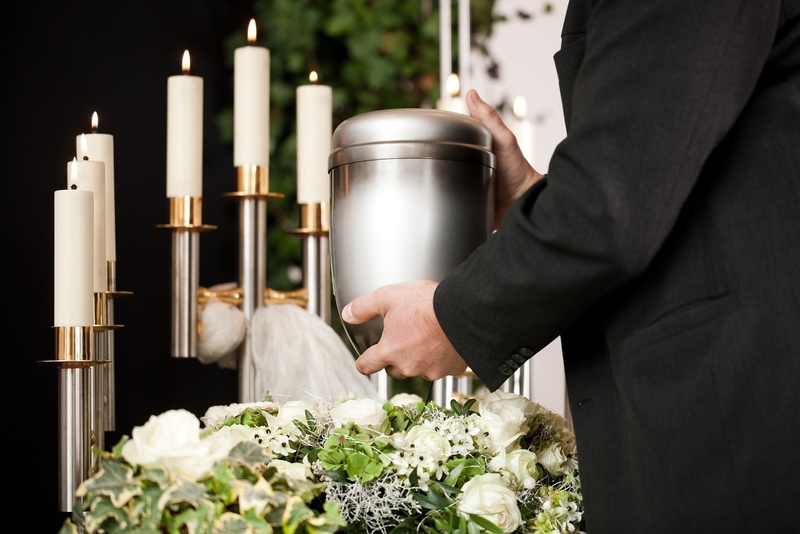 Ohio law states that a cremation container is required for all cremations. Please note that a cremation container must be rigid for secure handling of combustible materials. We also offer a variety of alternative cremation containers and caskets. Our offerings are economical and manufactured specifically for cremation. 14. Can families be present at the cremation? Yes, and we designed our crematory to welcome families at the initiation of the process. Some families may choose to view the cremation for religious traditions, peace of mind or closure. Due to the nature of the cremation process, certain safety regulations must be observed. 15. Can I be cremated if I am Catholic? Following the Second Vatican, the Catholic Church now allows cremation, though it is not preferred. The Beaumont Diocese prefers a traditional mass takes place with the body present before the cremation. It is possible to hold a mass following a cremation with an urn present at the church. If a Catholic service is desired, it is most important that the cremated remains be buried in sacred ground rather than scattered or kept. Once buried, a memorial service can be arranged instead of a traditional mass. 16. What are the legal requirements for cremation in Ohio? There are three basic legal requirements that must be met before a cremation can occur in Ohio. First, a minimum of 48 hours must elapse between the time of death and the cremation. Or, legal authorities may grant a waiver. Third, a burial transit permit for cremation must be secured from the registrar of the county in which the death occurred. In some areas, the local registrars require a signed death certificate is filed before issuing the burial transit permit. 17. Who can legally authorize the cremation? According to state law, a legally authorized person must activate the cremation. The process is not legally allowed to occur before there is written consent by the authorizer. State law also defines who the “legally authorized person” is, and sets up the order of priority of next of kin. We require you fill out “Authorization for Cremation” form before the cremation is scheduled. For more details on legal authorization, read our related blog post, Are You Authorized? What You Need to Know When Arranging a Cremation. 18. How many death certificates will I need? Certified death certificates are issued by the State of Ohio or the county registrar where the death occurred. Each state will have its own fees for certified death certificates. In Ohio, registrars charge $22 to $25 for each copy. It is usually beneficial to order a few extra copies for unexpected needs. Photocopies are not acceptable for legal purposes. 19. How can I place an obituary notice? 20. Who will notify the Social Security Administration (SSA)? 21. Does the Veteran’s Administration (VA) ever pay for cremation? The VA does not pay for services unless a death occurs while on active duty. The VA provides either ground burial or entombment of the cremated remains. A Veterans' Cemetery is no expense to the veteran and spouse. Also, a flag for military honors, an honor guard to present the flag and a memorial marker are provided. To learn about additional benefits that may be available, please visit the Veterans’ Administration website.